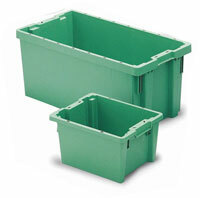 Zorex Distributors Ltd is a major supplier of Foldable Pallet bins and IBC. Zorex Distributors Ltd has represented Schoeller Allibert Systems (SAS) for over 10 years in Australiasia. 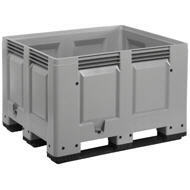 SAS is the world largest manufacturer of Injection Moulded pallets, pallet bins and foldable IBC’s. Zorex Distributors Ltd has supplied New Zaland’s largest companies Reusable Recyclable Packaging for many years and continues to demonstrate how companies can reduce freight costs, warehouse storage costs while maintaining the highest standards in food product hygiene. SAS products are world leaders in safe stacking because all our pallet bins and IBC’s inter-stack that allows for safe stacking up to 3 high, FULL, during transportation or up to 10 high, FULL, in the warehouse. Scroll to bottom of page for downloadable .PDF Catalogues. 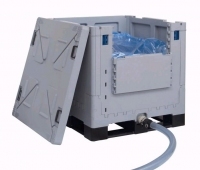 The Combo IBC is a revolutionary reusable 100% virgin plastic HDPE collapsible pallet container designed for fluid handling. It is the result of a development project in cooperation with global food and beverage companies that handle large volumes of fluid product. 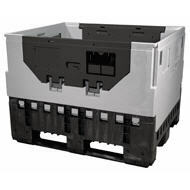 Our rigid pallet containers offer a robust packaging system which can be used again and again. Our Big Box range has straight, smooth double-skinned walls which give it a large internal volume. Our Magnum range is the complete returnable packaging system, which offers many advantages and gives significant cost savings over one trip alternatives. Vented Big Box with colour option. Buckhorn Storage solutions , custom and collapsible storage solutions available. 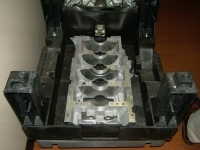 Zorex and Allibert Systems offers a comprehensive range of stack nest containers, which save on packaging costs. TheTellus has been a popular choice in Europe. It Has a spacious interior and smooth sides. 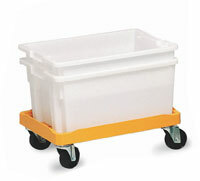 With a flat base it is ideal for quiet, safe travel on conveyors. 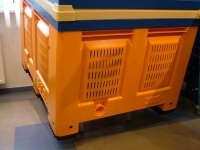 Our dollies are designed to facilitate the safe and easy movement of crate stacks.